Written By: Henry Louis Gates Jr.
Who are we, and where do we come from? The fundamental drive to answer these questions is at the heart of Finding Your Roots, the companion book to the hit PBS documentary series. As Harvard scholar Henry Louis Gates Jr. shows us, the tools of cutting-edge genomics and deep genealogical research now allow us to learn more about our roots, looking further back in time than ever before. 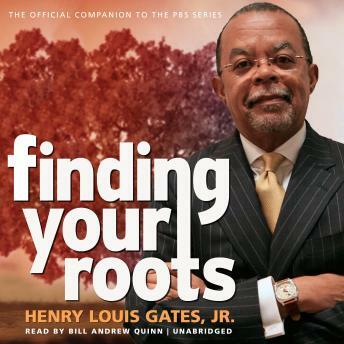 Gates’ investigations take on the personal and genealogical histories of more than twenty luminaries, including Congressman John Lewis, actor Robert Downey Jr., CNN medical correspondent Sanjay Gupta, former secretary of labor Linda Chavez, and comedian Margaret Cho. Interwoven with their moving stories of immigration, assimilation, strife, and success is practical information for amateur genealogists just beginning archival research on their own families’ roots. Gates also details the advances in genetic research now available to the public. The result is an illuminating exploration of who we are, how we lost track of our roots, and how we can find them again.